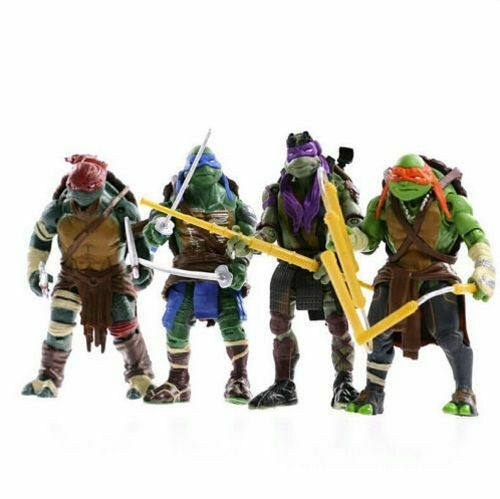 Each Turtle figure is uniquely sculpted, with 5 inches in height, to capture the individual personalities of the characters from movie! Each Turtle is wearing his signature bandana and comes packed with their two core Ninja weapons and added weapons rack for hours of Ninja playing excitement! Leonardo - Leader & King of the Katana Swords! Donatello - Inventor & Weaponeer! Raphael - Hot-Head & Sharp Sai Expert! Michelangelo - Jokester & Hard-Hitting Nunchuck Hero! All items have a 2-month warranty. Contact us for details. 2007 STAR WARS ACTION FIGURES 4 STORMTROOPERS 3 3/4”.